Sound has been used for centuries to heal. As an example Handel was commissioned to write a piece of music for King George to ease his depression and he wrote his Water Music. Music and sound have the ability to lift your spirits, calm, excite and even make you cry. It touches emotions. However, I know from talking to my friends that it is relatively new to them as a healing method so I thought it would be a good idea to answer some questions that you might have about sound healing. The application of intention and sound through the voice and other instruments to balance mind, body and spirit. Sound healing stimulates the body's natural healing mechanisms. It can boost the immune system, can be used for pain control, relaxation, improved sleep, stress reduction, chakra balancing and general well being. The body is made up of energy vibrating at different frequencies. Scientist Barbara Hero measured the frequency of human organs and found that the liver vibrates at 319.88 Hz (cycles per second), the stomach at 110 Hz, a bone at 418.3 Hz and so forth, although not everyones organs vibrate at exactly the same frequency because we are all unique. Illness is caused by disharmony within the body, mind and emotions and we become "out of tune". The body always tries to heal itself - when you get a cut, it heals. When an organ or any body part is out of balance, experiencing dis-ease, it wants to heal. When a sound therapist uses voice and/or instruments that vibrate at the same frequency that is healthy for an out-of-balance organ, it perceives this vibration as normal and tries to vibrate at the same frequency to heal itself. This is called entrainment and helps to bring the body, mind and emotions back into harmony. 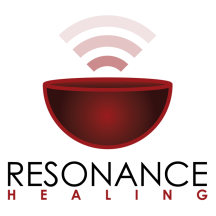 For more in depth information please visit The College of Sound Healing Website. Sound healing is a natural form of healing and is completely safe if practised by a qualified sound healer. Sound healing can be used to complement medical treatment. You should never discontinue your medical treatments or medicines without permission from your doctor. There will be an initial chat about your health and the reason for your visit. You will lay on the treatment couch fully clothed while the sound healer sounds into your body using predominantly voice and some instruments. (Please wear comfortable loose-fitting clothing.) A blanket will be available should you not feel warm enough during the treatment. At the end of the seesion you will be encouraged to discuss your experiences and will be asked to provide further feedback one week later. Sessions last usually from 45 mins to an hour. Q. Do I feel anything during the session? Often people feel a deep relaxation. You may see colours or feel tingling. Sometimes a pain will intensify for a few minutes before disappearing. When you get home you should drink plenty of water. This helps the body to release toxins. Most people feel deeply relaxed after a sound healing. It is not good to do a long drive or go to work after a sound healing. There is generally a 3 day adjustment period after a sound healing. Your body will be healing itself and you may feel aches and pains as the body integrates the healing that it has received. Old symptoms may return for a while before disappearing altogether. This is likely if an illness has been suppressed in the past with medication such as steroids. Most people need more than one session to get their body into balance again. In my experience I would recommend 4 weekly sessions and then review progress at the end of these sessions. Some may wish to follow-on with top-up sessions for relaxation or to keep the body well and in balance. All healing is self-paced. When you have finished your session you should feel more deeply relaxed. When your body relaxes your immune system is boosted and your body is able to heal itself. Each sound healing costs £45 and is between 45 mins and an hour. Q. How do I book a sound healing? I would love to hear from you so please call me and we can talk. I feel it's important for you to feel comfortable with me and ensure that you find the right healer for you. If you suspect that you have a serious health problem, you must go to a medical doctor immediately. Sound healing can be used to complement medical treatment. You should never discontinue your medical treatments or medicines without permission from your doctor. The information given and opinions expressed in this website are of a general nature and not intended for personal medical advice.